RFID (radio-frequency identification) is the wireless non-contact use of radio-frequency electromagnetic fields, for the purposes of identifying and tracking tags attached to objects. 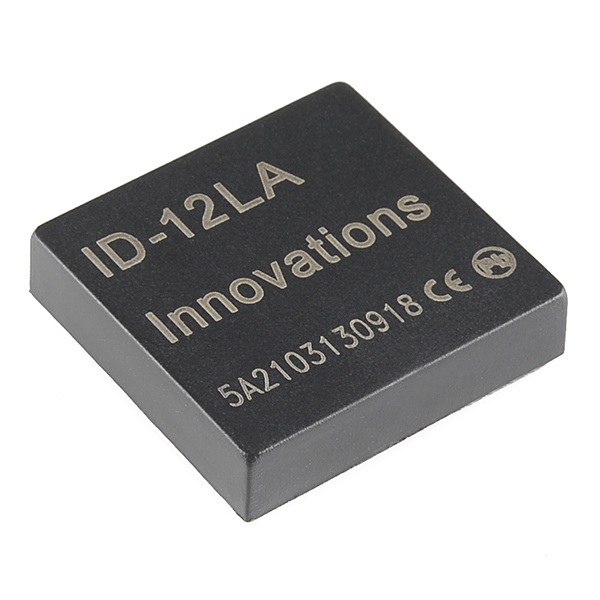 This is the ID-12LA, a very simple to use RFID reader module from ID Innovations. With a built in antenna, the only holdup is the 2mm pin spacing. Power the module, hold up a 125kHz card, and get a serial string output containing the unique ID of the card. 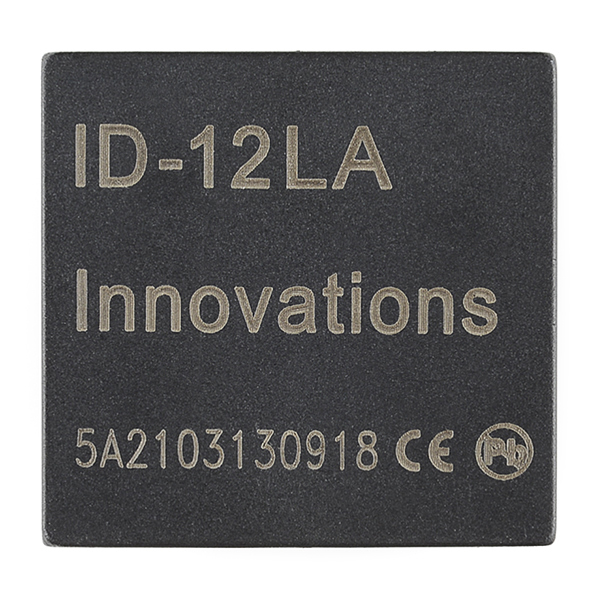 Note: The new ID-12LA is essentially the same as the ID-12, but has a lower voltage input. Learn the basics of how to get started with the SparkFun RFID Starter Kit. Comparison with SEN-11828 would be welcome. That offers 180mm read distance, and is larger, and $5 more were what I spotted. Oh... and maybe add the other to the "similar items" list? We have no reason to believe it is being discontinued. It looks like we received an order from them last month. If you have questions on this unit feel free to email our techsupport department and they can help you out or hopefully get you in touch with the manufacture. Does anyone know any module that can read HID cards? We want a 1-Wire RFID Reader that supports all HID cards as well. Is the only difference between this product and "RFID Reader ID-20LA (125 kHz) SEN-11828" the read range? Can this chip be hot air reflow soldered to pcb's? In the documentation they do not mention safe temperature range. Does animal tag reads FDX-B? If anybody is looking to connect this to a Raspberry Pi it's pretty easy. Use one of the 5V pins from the header to power it, along with ground and then just connect the TX pin of the rfid module to the RX pin on the Pi header. I've created a Python module that makes interfacing with the reader quite simple. The breakout board is retired? I'm having difficulty finding an alternative. Is there one? I wonder, did they discontinue the breakout board in favor of the RFID USB reader (SEN-09963)? Nope, wasnt released. Gotta wait until next week hopefully. 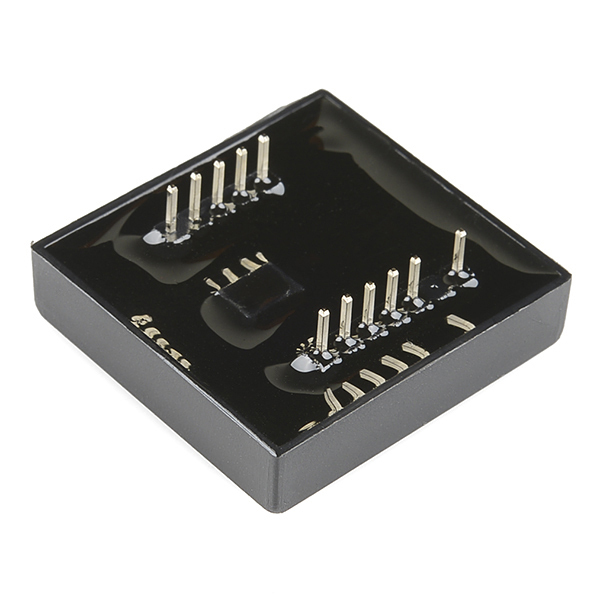 HI, this reader supports 125khz EM4100 64bit tag RFID? Hi, that is so compatible with arduino uno and visual studio? any tutorial you refer me? How about putting this on a PCB with FTDI FT312 so that Android users can access it directly? The reader transmits six '255'. Once in a blue moon I can get it to actually transmit an actual ID, eg. 2364630303543433238313730DA3. I'm certain the wiring is fine. 3.3 v to Vcc on pin 11 and GND to pin 1.The tx pin (9) is hooked up to one of the uart ports on a teensy. How can I get the reader to ALWAYS transmit a proper tag ID instead of a bunch of nothing? Great 125 KHz EM4100 Reader streamlines model railroad operations! I use ID-12LAs as part of my model railroad to track rolling stock as it leaves and enters yards. The ID-12LA plays an integral part in generating "Wheel Reports" that are used by Yard Masters to route cars during "Operating Sessions" which simulate the operations of real railroads. We've found the ID-12LA to have the optimum range for reliably reading "kitty tags" on the bottoms of railroad cars without getting false reads from cars on adjacent tracks. Also the ID-12LAs can placed as close as 6" from one another without interference which is great for busy yards with multiple throats. We've even offered the RFID system to other model railroaders using the ID-12LA from Sparkfun: visit us at http://www.modelrailroadcontrolsystems.com/radio-frequency-identification/ for more information! Sparkfun provides great support and carries all the handy bits you need to make your project come to life! The RFID worked like champ. I was disappointed that the breakout board did not come with the product. Easy to set up, fun to play with! For simple projects, this is easy to set up. Aside from the 2mm pin spacing, at the bare minimum all you need is voltage, ground, and the UART receiving line. Couldn't be simpler! From there, you've got the power of RFID. You're only limited by your imagination! Excellent RFID reader - recommended! 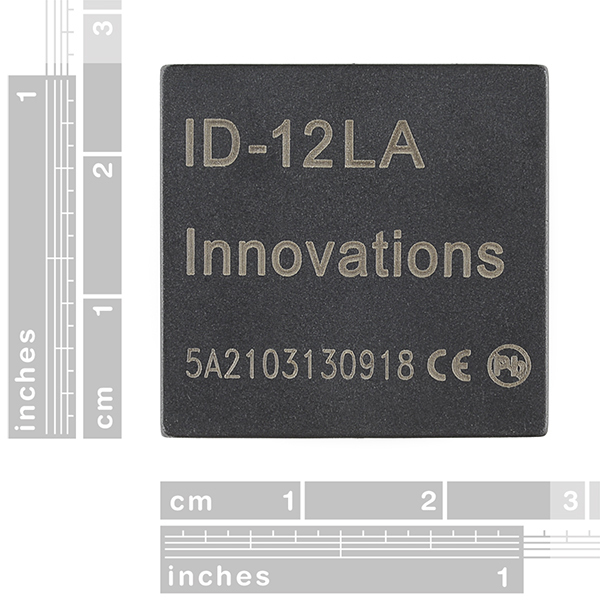 The ID-12LA is a nice RFID tag reader that is reliable, simple to use and works out-of-the-box. Nothing tricky to the set up and it is easy to interface to a microcontroller or a PC serial port. Works well with small 'button' RFID tags as well as 'credit card' size ones. This is a good module, and I will be looking for more stuff from the company that makes these. Nice, very reliable and "not too strong" to let multiple reader be used next to each others, at the end, a quite perfect product! Does not read any RFID card, only those that match the frequency. Also, not shown in the specs or hookup guide, I had to use a 4.7 kohm pullup resistor between 5V and pin 9 on the sensor, or I'd just read "FFFFFFFFFFFF"
You are correct, these are limited to the 125kHz cards. Works exactly as I expected to read the small glass chips I will be useing. Used these with a dual reader shield attached to a Arduino uno to read chips attached to HO train cars. Highly recommend the extra break out board to attach them to the reader shield. Found out I can use a few more since the rest of the hardware I already have will support 8 reader chips instead of the original 4 I had planned for. All got here (Europe) on time and works just fine. Thanks!